Today, top fabricators use a highly innovative process for laser cut metal. Because of that, finished products have more precision details, the production process speeds up, and the cost of operation decreases. When doing business with a reputable company that utilizes only the most advanced laser cutting machine and follows strict processing guidelines, you have the assurance of receiving what you want and need. Thanks to technological advances, a top fabricator provides services for custom laser cut metal. Whether working with stainless steel, aluminum, copper, brass, galvanized steel, or some other material, you can expect a prototype or full product that meets your specifications. No matter how elaborate or sophisticated, cutting-edge technology allows fabricators to achieve 100 percent accuracy. Following are some examples of advances made that improve both the standard and custom laser cut metal process. Enhanced Laser Power – Fabricators can use laser cutting machines that produce 10 times the power in pulsed mode. That creates almost unlimited possibilities for various industries, including aviation and automotive. Speed and Quality – For both the medical and aerospace industries, speed and accuracy are critical when it comes to cut metal products. However, as technology in these areas continues to improve, more industries have turned to fabricators who utilize state-of-the-art machinery. Software, Hardware, and Control Technology – This is another area in which technology has pushed the laser cutting machine to great heights. 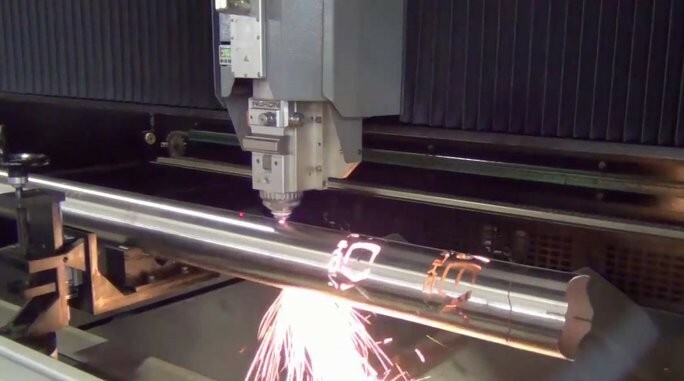 Technological advancements help with power laser cutting, as well as drilling and welding. Decreased Cycle Time – Having the ability to cut metal faster offers several benefits. For one thing, it allows fabricators to complete a higher production run, all with precision results. It also lets fabricating companies provide customers with the products much faster. Especially for time-sensitive orders, a decreased cycle time is a substantial advantage for both the fabricator and customer. Enhanced Quality – The type of laser cutting machine used today is so high-tech that the quality surpasses all expectations. For several industries, including automotive, improved quality results in safer vehicles, better fuel economy, and lower prices overall. For superior cut metal, at Weldflow Metal Products, we will not disappoint you. Please visit our website to see the different services that we offer. This entry was posted in Laser Cutting and tagged laser cut metal. Bookmark the permalink.